Stress fractures can be considered an overuse injury of a bone. The bones in the body are constantly changing, responding to the work load that is placed upon them, and there is a constant turnover of cells as bone acts to repair itself. The more load placed on the bone, the more likely that calcium will be placed at that site. The less use a bone receives, the less calcium can be found within it. If the stress of repetitive loads overwhelm the ability of the bone to repair itself, small cracks can begin to occur within the bone structure. 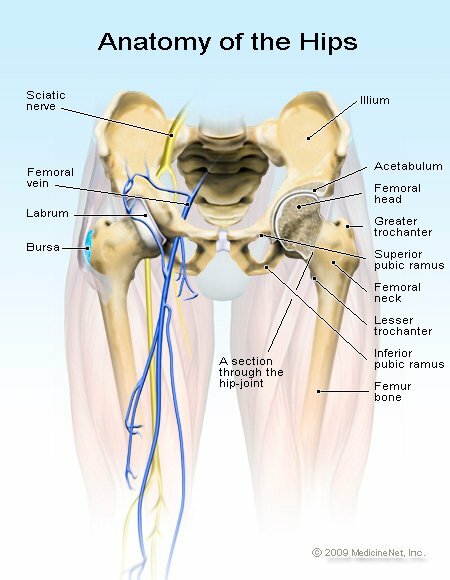 This is especially evident in the bones of the foot, leg, and pelvis. These bones need to absorb the forces created from walking, running, and jumping. Up to 12 times the weight of the body may be generated with each step; and the bones, joints, muscles, and ligaments need to cushion the body against that force. Bone is normally in homeostasis (homeo= same + stasis=standing still), meaning that the natural turnover of bone cells is in balance between osteoclast activity (bone breakdown) and osteoblast activity (bone creation). When bone is under stress, it undergoes microscopic damage. Osteoclast cells are stimulated to absorb bone, and the injured site is weakened. If a long period of time elapses prior to the next injury, osteoblast cells produce more bone cells to protect the damaged area. If there is not enough time for the osteoblasts to produce more bone cells in the injured area; the micro fractures can join together to form a large enough area to cause a stress fracture. Symptoms of a stress fracture may include pain and swelling, particularly with weight bearing on the injured bone. Often plainX-rays may appear normal. If stress on the area of the compromised bone continues, and the microscopic damage increases in the area; the bone's integrity can be completely disrupted and cause a fracture that can be recognized on X-rays. pars articularis of the lumbar spine. Most people think of a fracture as an event that occurs when a single, large force is placed upon a bone and it breaks. Stress fractures, however, are caused by repetitive forces placed upon a bone over time that are greater than the bone can bear, and overwhelm the ability of the bone to repair itself in time to absorb the next force. Most commonly, stress fractures occur as an overuse injury in athletes or in military recruits, but they can occur any time the lower extremities of the body are overburdened. Bones of the feet, shin, thigh, and pelvis are at greatest risk for stress fractures. Because of the increased potential for osteoporosis in women, they are twice as likely as men to sustain a stress fracture. As people age, theirbone mineral density decreases and places them at greater risk of stress fracture. weak bones; common causes may include osteoporosis or bones weakened because of medication (an example would include long-term use of corticosteroids such as prednisone). Stress fractures may occur because of overuse injuries and the failure to have adequate equipment to protect the body. Certain fractures are more sports-specific. Runners can develop stress fractures of the tibia, while tennis and basketball players more often injure the navicular bone in the foot. Poorly cushioned shoes can contribute to a stress fracture, as can training on excessively hard surfaces such as concrete. The primary symptom of a broken bone is pain. The pain often begins toward the end of an activity and resolves with rest. If the injury is not recognized or if the symptoms are ignored, the pain will begin earlier during the exercise and continue even after the activity or exercise is finished. Pain at night is a common complaint. Eventually, the pain will become persistent with minimal activity. Localized swelling may be occur at the site of injury, and there may be spot tenderness if the area is touched. Stress fractures occur over time, and it may be hard to know when the initial injury occurred. Seeking medical care is appropriate if the pain persists even without activity or if it becomes more severe. If the pain does not respond to rest, ice, and elevation, it is worthwhile seeking medical care. There are a variety of other diagnoses that the health care practitioner may consider when making the diagnosis of a stress fracture. Sprains: Sprains are damage to a ligament that stabilizes a joint. Strains: Strains are damage to a muscle ortendon. Referred pain from the back: Examples of referred pain from the back includesciatica or arthritis in the low back that causes pain felt in other areas of the body (leg pain from sciatica for example). Shin splints: Shin splints are referred to as medial tibial stress syndrome (or medial tibial traction periostitis) and cause anterior shin pain due to swelling in the tissues covering the tibia or shin bone. Plantar fasciitis:Plantar fasciitis is an inflammation of the ligament in the arch of the foot. Morton's neuroma: Morton's neuroma is a benign growth that affects the nerve between the third and fourth toes of the foot. The health care practitioner will gather the appropriate information to help make the correct diagnosis. The initial injury may be difficult to remember, but the health care practitioner may ask questions about how long the pain has been present, what makes it better or worse, and whether the pain has progressed or changed. Past history will be helpful to access underlying risk factors for a stress fracture, including medication use and nutrition history. The diagnosis of an eating disorder and resultant osteoporosis may be considered in younger women with stress fractures who have stopped menstruating. Physical examination may reveal a specific tender area that reproduces the pain, but the physical examination can only raise the suspicion of a stress fracture. The health care practitioner may check muscle strength, flexibility, and bone alignment as possible risk factors for stress fracture. Plain X-rays often do not show a stress fracture initially. However, if they are taken weeks after the symptoms begin, there may be evidence of extra bone that is being formed at the fracture site as the body heals the area. Magnetic resonance imaging (MRI), computerized tomography (CT), and bone scans may be ordered to identify a stress fracture. CT and MRI scans look directly at the bone, but a CT scan requires the use of radiation, and an MRI scan is not often readily available. A bone scan uses a radioactive tracer injected into a vein in the arm to demonstrate areas where bone cells have increased activity and blood supply. As with most orthopedic injuries, home care begins with RICE (rest, ice, compression, and elevation). With stress fractures, it may also be helpful to minimize weight bearing activity, and limit or stop the activity that caused the injury until healing has occurred. Many times, patients prolong their recovery period by returning too quickly to the activity that caused the injury without allowing the body to completely heal. Medications such as ibuprofen (Advil, Motrin, Nuprin, etc.) may be helpful in reducing inflammation and pain. Rest is the key to the initial treatment of a stress fracture. A walking boot or brace along with a cast or crutches may be needed to help rest the injured area and limit the amount of weight bearing allowed. Healing time may be 4-12 weeks, depending upon the bone involved, before gradual increases in activity may be resumed. Physical therapy to increase muscle strength and flexibility may be considered to help prevent future injury. Anti-inflammatory medications such as ibuprofen are useful to help with inflammation and pain. Narcotic pain medications [for example, codeine, hydrocodone, oxycodone) may be considered initially to help with pain control. Most stress fractures heal with time and rest. Occasionally, some fractures displace (the bone edges move apart and are not aligned properly) or refuse to heal. In these situations, surgery may be required. Once the fracture has healed, it will be important for the patient and health care practitioner to review the circumstances that caused the injury and try to minimize the risk of future stress fractures. The best treatment of a stress fracture is prevention. Maintaining good bone health and density helps prevent all bone fractures. Wearing well supported shoes appropriate for the activity will help manage the forces placed on the foot and leg by walking, running, and jumping. Good flexibility and strong muscles also help support the feet and legs. Conservative therapy with limited weight bearing, ice, and anti-inflammatory medications often result in healing within a few weeks. Patients who fail conservative therapy may need surgery to repair the fracture. Individuals who have had one stress fracture are at risk for developing a subsequent stress fracture. Development of another stress fracture is possible when the activity that caused the previous injury is resumed, especially if risk factors have not been reduced (by modifications in type and intensity of exercise, change in footwear, muscle strengthening exercises, etc.). It takes a lot of effort to support 7 feet 6 inches and the two tons of force generated when NBA basketball star Yao Ming walks or jumps. 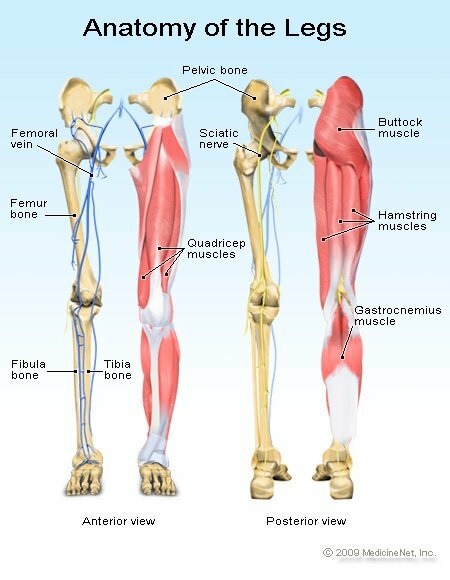 The cushioning that absorbs the shock of his weight rests on two feet and their joints, ligaments, and muscles. The force of that weight during runningcan multiply a person's weight by more than12 times. Unfortunately for the Houston Rocket basketball player, his bones couldn't withstand the constant pounding and he developed a stress fractureof the navicular bone of his foot. 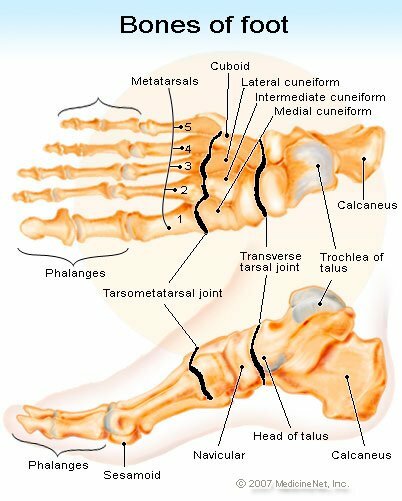 The navicular bone helps support the arch of the foot and is a bridge between the bones of the ankle and those of the toes. The bony arch is also supported by the plantar fascia, the thick band of tissue that connects the heel to the front of the foot. The solid bones and the pliable ligaments flex the foot to disperse the forces generated with walking, running, and jumping. But if the force placed on the bone is greater than its ability to withstand it, small micro fractures can occur in the bones that can develop into a stress fracture. deWeber, Kevin, MD. "Overview of stress fractures." UpToDate.com. Updated Jan 14, 2016. How did you acquire a stress fracture? How was your stress fracture diagnosed? What was most helpful for you while treating a stress fracture? If you've had a stress fracture, what steps have you taken to avoid one in the future?